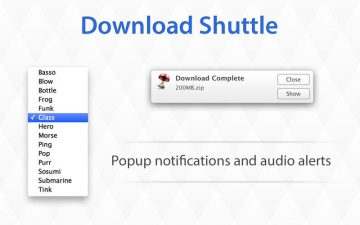 [無料] Download Shuttle | Mac App Storeのアプリ検索・ランキング BuzzMac! 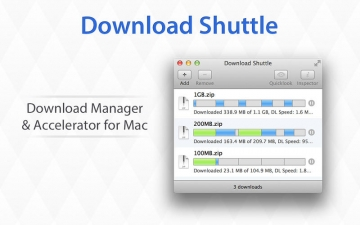 Download Shuttle is a blisteringly fast download accelerator and manager, and it’s free! 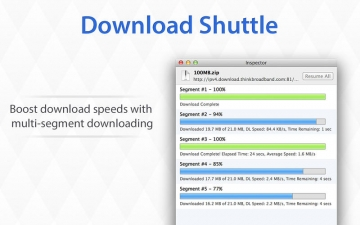 All downloads made via Download Shuttle are multi-segmented, i.e., each file is split into many smaller parts that are simultaneously being downloaded. This ensures that the speeds you experience are a lot faster as your bandwidth is maximized. - Slick and incredibly easy to use interface. We've spent a great deal of time thinking about the details and after using this app for a few days, you'll begin to notice our small yet creative touches. We plan on a very active development cycle, so please spread the word and keep sending us your feedback!